Earlier this month, HAWNY staff attended the Niagara County Poverty Conference. 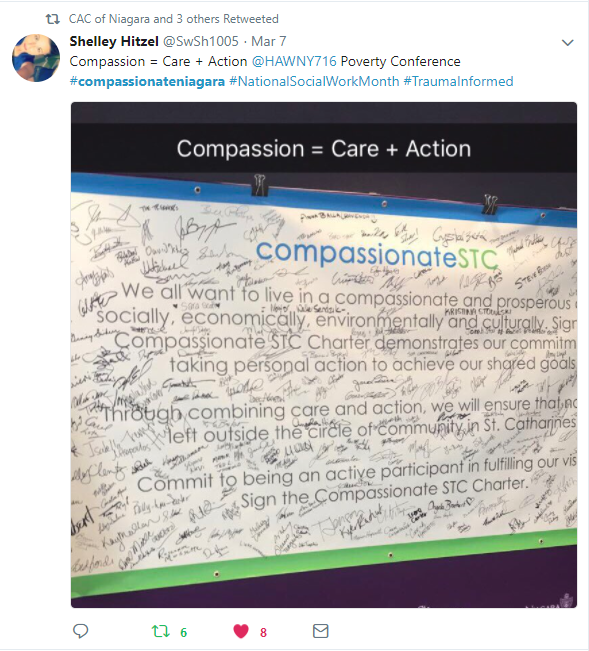 This was the 6th annual conference hosted and organized by Niagara County Coalition for Services to the Homeless and Niagara University: ReNU Niagara. 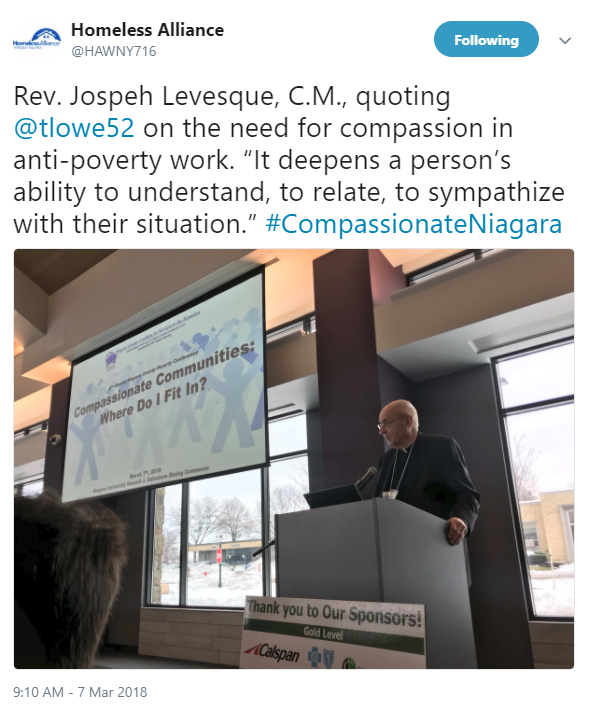 Attendees responded to the conference using the #CompassionateNiagara hashtag on Twitter. 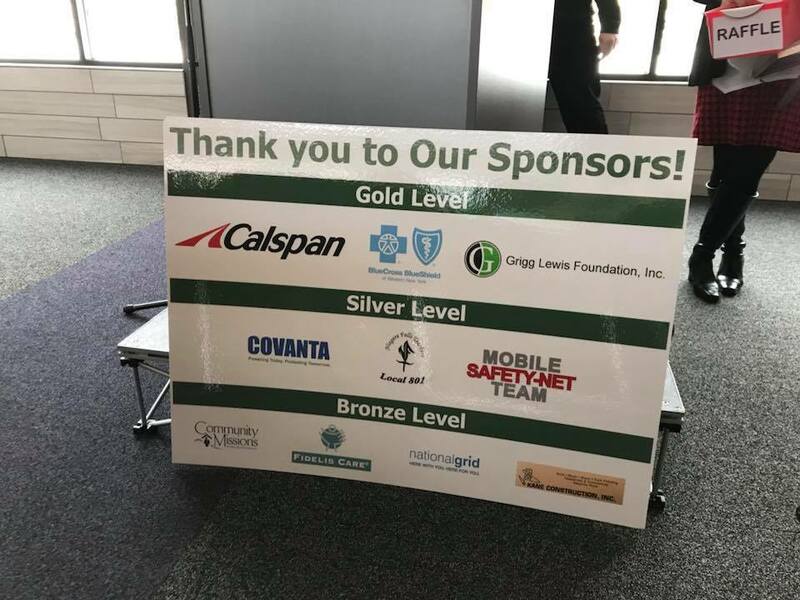 Over 200 members of the public registered to attend, including representatives in schools, police, government, and business alongside those working in service organizations. The keynote speaker was St Catharines Mayor Walter Sendzik, who shared his vision for a more compassionate St Catherines. Mayor Sendzik has lead the nearby Canadian city in an effort to promote the idea that compassion = care + action. Attendees overwhelmingly responded to positively to the mayor’s call to action. 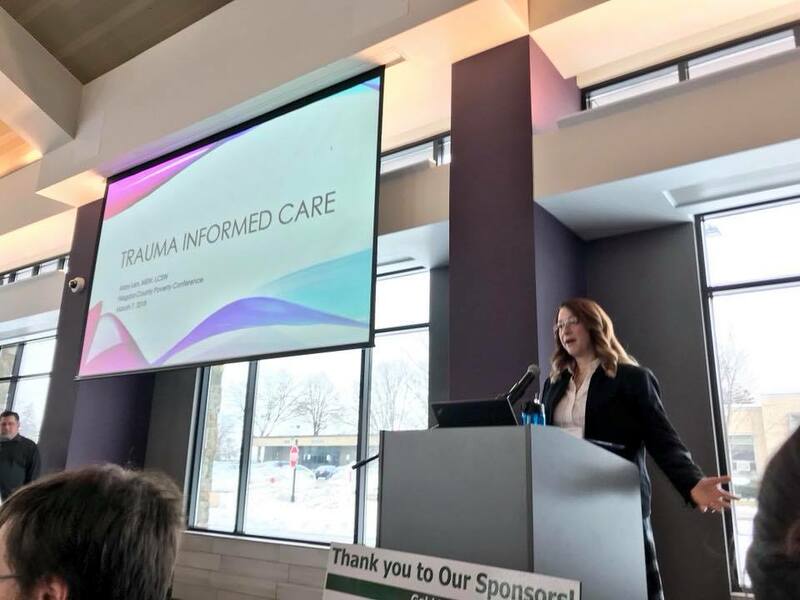 In addition to Mayor Sendzik, featured speakers included Mary Len, who spoke on trauma informed care, and Glenn Jackson, who spoke about his work with M&T Bank on the Buffalo Promise Neighborhood. 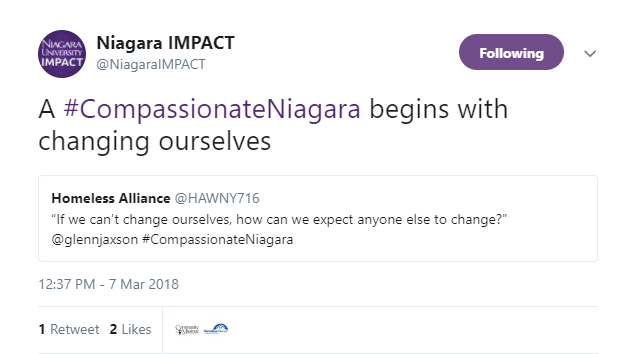 So, how is Niagara County working to build a more #CompassionateNiagara? One way is through Project Connect Niagara. 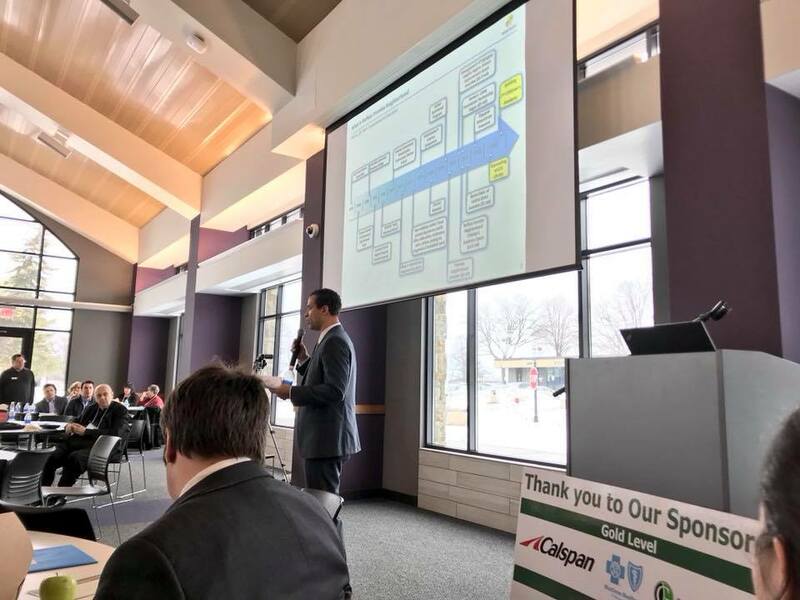 Community members in Niagara County created Project Connect as a one-day “one-stop shop” event, serving people who are experiencing homelessness or at risk of homelessness. The project is a collaboration between service providers and government officials, and is located at Heart Love and Soul’s Ontario Avenue food pantry. This year, Project Connect is on Wednesday, July 25, 2018.